The key to a good backpacking trip is planning ahead. Planning everything ahead of time will help ensure that you don’t forget any necessary items. Getting ready for a backpacking trip? Not exactly sure of what all you need to pack? We have you covered. 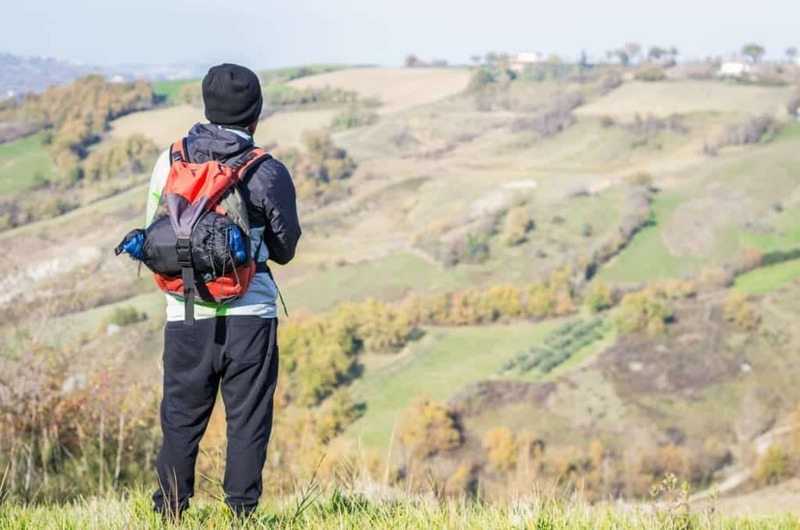 Keep reading for the ultimate backpacking checklist! When backpacking, you need to have a number of items on your side. 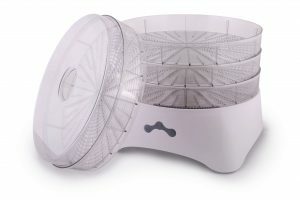 These items run the gamut from clothing to food to technology and much more. The exact clothing you bring on your trip depends, in large part, on the climate that you’re going to be dealing with. While warm climates necessitate t-shirts and light pants, cold climates necessitate long-sleeved shirts and heavy pants. It’s recommended that you pack at least two of each clothing item for each day that you’re going to be backpacking. So, for example, if you’re planning on backpacking for three days, you should have six shirts, six pairs of underwear, six pairs of pants, and six pairs of socks. Other items you might need in addition to these items are jackets, coats, hats, and gloves. It’s wise to pack waterproof clothing, as it will protect you in the event of rain. Whether you’re backpacking for an afternoon or five days, it’s highly recommended that you bring along some food and water. 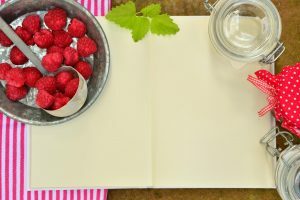 Food and water can be hugely beneficial to you when you begin to feel exhausted and lightheaded. If you’re only backpacking for an afternoon, a few small snacks (ie. granola bars, etc.) and a few bottles of water (or energy drinks) can get you by. 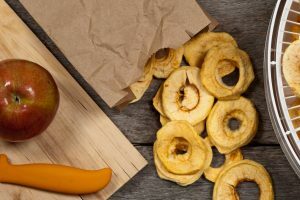 If, on the other hand, you’re backpacking for a trip several days long, you’re going to need a little more in the ways of sustenance and hydration. 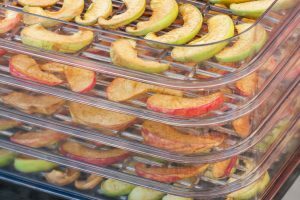 We recommend dehydrating your food so that it can fit in your bag as compactly as possible. We also recommend purchasing a large water bladder that you can carry on your back. It’s also wise to bring along some water purification tablets. These tablets will enable you to safely drink natural water that you find during your trip. You will also need to pack a bit of footwear. 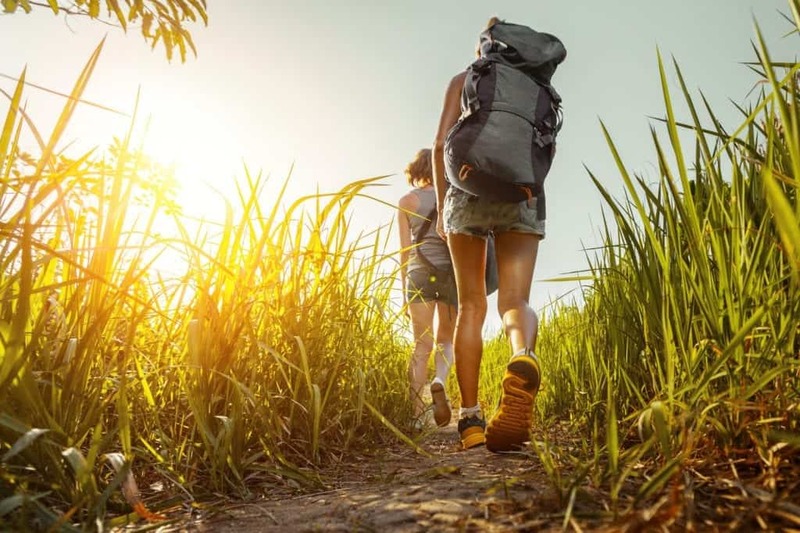 You should wear thick, sturdy hiking boots while hiking, and keep some sandals or trekking shoes in your bag so that you can use them while camping. While you probably won’t have access to showers, toilets, and sinks, you can still maintain good hygiene while on your trip. To do so, you’re going to need a variety of different items. These items include a toothbrush, toothpaste, deodorant, hand sanitizer, and toilet paper. It’s also a good idea to bring along a small trowel. This will come in handy when you need to relieve yourself. 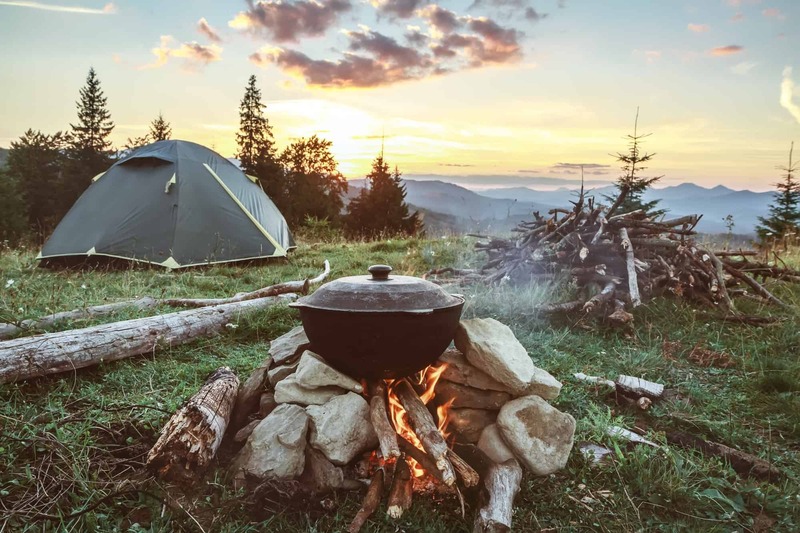 While the entire point of backpacking is to get away from the modern world and into nature, it’s not a sin to bring along a little modern technology. E-readers, smartphones, music devices, and other such technological devices can do a great job of keeping you entertained during downtime. To ensure that your many devices remain charged, it’s also a good idea to bring along a power bank of some kind. Make sure that the bank you bring is large enough to accommodate all of your devices. If your trip is going to last more than a day, you’re going to need some camping gear. First and foremost, you’re going to need a tent or some other type of sleeping entity. In addition to a tent, you will require a sleeping bag, a pillow, and a sleeping pad. It’s also highly recommended that you bring a flashlight of some kind. A headlamp can help you to see freely after the sun goes down. When you go out into the wilderness, you’re going the opposite direction of healthcare facilities. Should you incur an injury while on your trip, you will have to be able to take care of it. This is why safety equipment is regarded as vital backpacking gear. Without question, you need a first aid kit. This kit should be filled with band-aids, disinfectant, medications, towels, medical tape, and a variety of other items. You should also bring something along to alert others in your group in the event that you become separated. An air horn or a whistle will typically be able to alert fellow travelers of your location. Fire-starting implements should also be kept on hand. These include lighters, matches, and artificial fire starter. There are a few personal that you’ll need to take on your trip. These items include your wallet, your phone, your car keys, and your ID. A number of incidents could occur which could necessitate the use of these items. In some cases, depending on where you’ll be backpacking, you might also need a license of some kind. This license will inform the authorities of the fact that you have been legally permitted to do what you’re doing. The above-reviewed items are the backpacking essentials. However, they are not the only items that you need to bring on your trip. There is a bevy of small backcountry gear which can serve to make your experience fruitful and fulfilling. 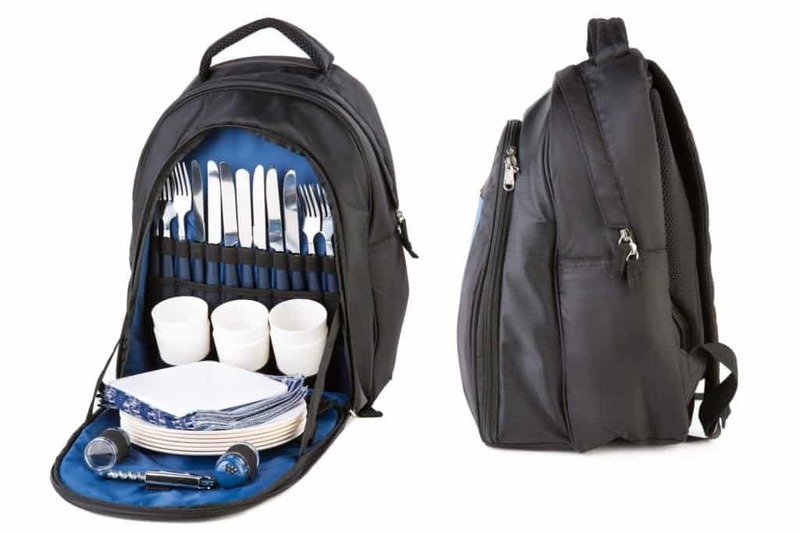 This gear includes pocket knives, compasses, cameras, binoculars, writing utensils, and watches. You will also want to consider bringing along bug repellent, sunscreen, and other protective entities. These items can transform your trip from a miserable one to a perfect one. You’re probably ready to start marking off your backpacking checklist. 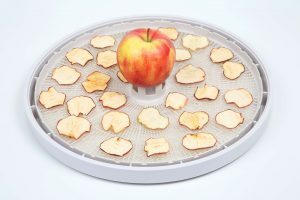 However, before you do, you might want to learn a little bit about dehydrating your food. 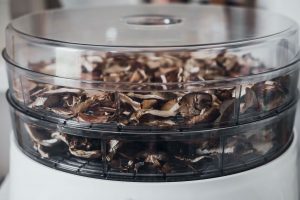 Dehydrating your food makes it as small as possible, allowing it to take up only a tiny amount of room within your bag. 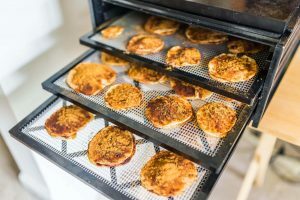 Want to learn about food dehydration? 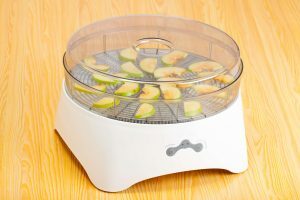 Perhaps you’re interested in buying a food dehydrator? 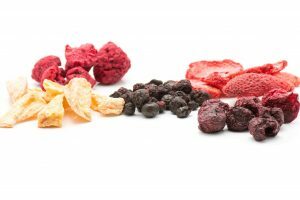 If so, Dehydrated Foodz has you covered. 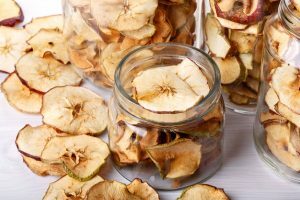 Our website has all of the food dehydration information you could ever need.